When it comes to Ayurveda, what you put in your belly is often the culprit for how you look and feel externally. Poor diets, can lead to indigestion and constipation, but can also affect several other disorder like mood, causing anxiety or depression, it can even reduce their metabolic health leading to unwanted weight fluctuations.. There are a whole plethora of ailments a person can endure if they aren’t taking care of their belly health. Agni is fire, and is reflective of our very nature of being. It is said that when agni diminishes too does a person’s life force. That being said Ayurveda also suggests that Agni directly correlated to an individual's digestive fire. When the vata dosha is imbalanced this can lead to variances in our Agni leading to complications. In order to best stoke our internal fire Ayurveda recommends eating food that our satvic in nature. These foods in general are light, and eaten at regular intervals throughout the day. Eating healthy all the time can be exhausting and we get that. Try these digestive healthy snacks as an option to satiate your hunger pangs without adding a notch to your belt. You can find all of these linked to our shop. But make sure you do not over do it. Binge snacking can pack on the pounds before you know it. Ayurvedic digestion juices are those which can simply help you digest your food effectively. Aloe vera juice is the clear heavy hitter here. It has a cooling effect on your stomach, can clear up constipation and even relieve stomach aches. You can find our pick for aloe vera juice here. Consume 2 tsp twice a day. Aloe vera also makes it on our ayurvedic detox products list. Another great way to stoke a healthy Agni is to exercise. 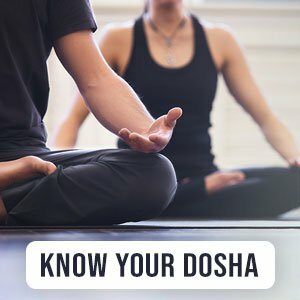 To do so you will need to know your dosha. You can find out your dosha by taking our quiz. For pitta dosha engage in moderate exercise with medium intensity. For kapha dosha engage in high intensity exercises. For vata dosha engage in light, relaxed exercises. Doing these will help best stimulate your agni’s digestive fires according to your dosha type. Incorporate these lifestyle changes to a happy belly and a happier you.